What's Missing from Your Government Agency's WAN? What’s Missing from Your Government Agency’s WAN? You may not realize it, but your wide-area network (WAN) is critical to the continuity of your operations. So for many state and federal agency workers, the WAN is something that normally just works in the background, until it goes down. The 2017 Splunk Public Sector IT Operations Survey of 1,250 public sector employees found that a majority of respondents had either the same or less confidence in their IT systems as the previous year. According to the 2016 State CIO Survey from the National Association of State Chief Information Officers, more than 90 percent of CIOs in state government classified at least one-fifth of their systems as "legacy." Almost 40 percent of CIOs also reported that over 10 percent of their budgets were allocated to legacy system modernization. At the same time, seven in 10 stated that their respective states had some form of "cloud-first" policies in place, encouraging the use of SaaS, IaaS and other services that exceed the capabilities of legacy infrastructures, including traditional WANs. Together with other aging technical assets, conventional WANs can increase security risks to the agency at-large. There is the well-known issue of not having up-to-date technology with current patches. But a bigger long-term problem may stem from not having the ability to secure the numerous new workloads passing through the cloud. Many agency apps, such as ones for citizen relationship management, electronic records and disaster recovery, inevitably involve the handling of sensitive data. Pushing them into the cloud necessitates a WAN with packet-level protections and advanced security integrations, but poor cybersecurity infrastructure can still get in the way. Plenty can go wrong when transitioning a key application to the cloud. For example, it might still need to connect to a legacy database, resulting in high latency for essential queries. The question then becomes where the latency is coming from. Is it a service provider issue, or is the WAN otherwise congested? It's impossible to know without real-time, granular network visibility. 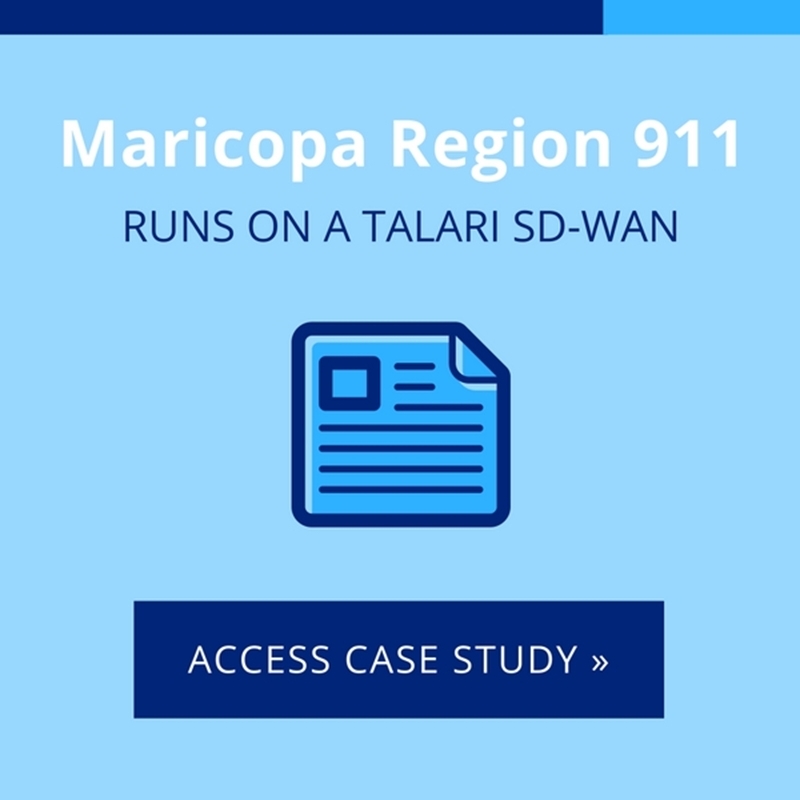 A Talari SD-WAN can consolidate security functions that used to require dedicated hardware. It is integrated with platforms such as Zscaler for safe forwarding of Internet traffic via IPsec tunnels. Packet loss, jitter, latency and bandwidth are millisecond-measured to evaluate the optimal performance and utilization path for each application. To learn more, request a demo from Talari Networks or contact us directly for more information.